Afghanistan won’t go away, in my opinion. Read current entry on www.bettecox.wordpress.com. Here are two interesting articles. ARGHANDAB, Afghanistan — American and Afghan troops have begun the active combat phase of a military operation designed to drive the Taliban out of districts around the Taliban stronghold of Kandahar city, military officials said Sunday. Code-named “Operation Dragon Strike,” the push is focusing on clearing the Taliban from three districts to the west and south of the city, said Brig. Gen. Josef Blotz, a NATO spokesman for the International Security Assistance Force in Kabul. “We expect hard fighting,” he said. The operation is the first large-scale combat involving multiple objectives in Kandahar Province, where a military offensive was originally expected to begin in June. That offensive was downgraded to more of a joint civil-military effort after the military encountered problems in trying to pacify the much smaller city of Marja and because of resistance from Afghan leaders concerned about the possibility of high civilian casualties. During the last week of August, at the instigation of Afghan authorities, American troops supported a major push into the Mehlajat area on the southwest edge of Kandahar city, driving them from that area but with few casualties on either side. At the time, military officials said that was the beginning of what would be an increase in active combat operations around Kandahar. Prized pipeline route could explain West’s stubborn interest in poor, remote land. Why is Afghanistan so important? A glance at a map and a little knowledge of the region suggest that the real reasons for Western military involvement may be largely hidden. If you can’t bomb them from above, bomb them from within… their computer control systems, that is. Debkafile’s military and intelligence sources note US press leaks appearing since Monday, Sept. 20, which maintain that the United States has embarked on a clandestine cyber war against Iran, and that Israel has established elite cyber war units for this purpose. According to Washington sources, Obama has resolved to deal with the nuclear impasse with Iran by going after the Islamic republic on two tracks: UN and unilateral sanctions for biting deep into the financial resources Iran has earmarked for its nuclear program, and a secret cyber war which the US is conducting jointly with Israel for crippling its nuclear facilities. Debkafile’s sources disclose that Israel has had special elite units carrying out such assignments for some time. Three years ago, for instance, cyber raiders played a role in the destruction of the plutonium reactor North Korea was building at A-Zur in northern Syria. 1. Stuxnet is the most advanced and dangerous piece of Malware every devised. 2. The experts don’t believe any private or individual hackers are capable of producing this virus, only a high-tech state such as America or Israel. 3. Although Stuxnet was identified four months ago, the only servers known to have been affected and seriously damaged are located in Iran. Some computer security specialists report lively speculation that the virus was invented specifically to target part of the Iranian nuclear infrastructure, either the Bushehr nuclear plant activated last month or the centrifuge facility in Natanz. Debkafile’s sources add: Since August, American and UN nuclear watchdog sources have been reporting a slowdown in Iran’s enrichment processing due to technical problems which have knocked out a large number of centrifuges and which its nuclear technicians have been unable to repair. It is estimated that at Natanz alone, 3,000 centrifuges have been idled. None of the reports indicate whether other parts of Iran’s nuclear program have been affected by Stuxnet or the scale of the damage it may have caused. Hezbollah reportedly has up to 45,000 missiles and rockets aimed at the Jewish state. Wondering why the recent escalation in Hezbollah weaponry on the Lebanon side of the border? “Follow the money.” Here’s an excerpt from UPI’s energy and science news section worth reading in its entirety. 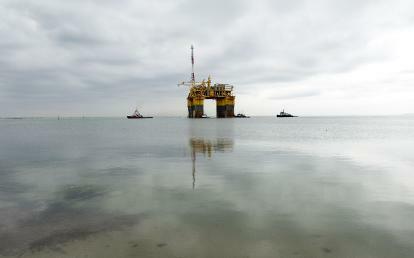 TEL AVIV, Israel, Sept. 15 (UPI) — The energy stakes in the volatile eastern Mediterranean keep getting higher. U.S. explorer Noble Energy of Houston says the reputedly vast Leviathan natural gas field it found off Israel in recent months could also contain up to 4.3 billion barrels of oil. If that pans out, Israel could have enough oil to keep it running for decades, as well as enough gas from Leviathan and two smaller fields, Tamar and Dalit, to meet its own requirements for 50 years. But the new oil claim has sharpened tension with neighboring Lebanon, where Israel’s sworn enemy, Hezbollah, reportedly has up to 45,000 missiles and rockets aimed at the Jewish state. Lebanon claims the gas fields extend northward into its waters and, on Aug. 17, parliament approved a fast-tracked law to allow offshore exploration, setting the stage for an energy battle that is sure to exacerbate the conflict with Israel. Lebanon conducted seismic surveys in 2006-07 and these indicated that there could be significant gas reserves off the coast, a prospect vastly heightened by the deep-water strikes off Israel. 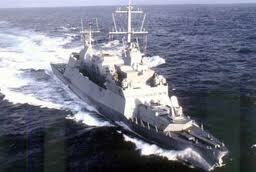 The big prize for Israel is the Leviathan field 50 miles west of Haifa, the country’s main port and naval base. Noble Energy estimates it contains 16 trillion cubic feet of gas. The nearby Tamar field has proven reserves of 8 tcf and is expected to start delivering in 2012. There are plans to build a major terminal near Haifa. All told, the gas finds announced by Noble Energy and its Israeli partner, the Delek Group, could eventually total 24 tcf with a value of $300 billion or more. But even that could represent only a small part of the gas that lies beneath the seabed in the eastern Mediterranean. The oil and gas reserves have gone undiscovered for so long because Western companies didn’t want to antagonize Arab producers like Saudi Arabia, Iraq and Kuwait by working with Israel. But now that the secret’s out, Israel and Lebanon seem set to duke it out. Tehran and its extremist and terrorist allies, having failed to abort Barack Obama’s initiative for direct Israel-Palestinian diplomacy, have hit back with two belligerent steps. Debkafile’s military sources disclose that Syria and the Lebanese Hizballah have set up a joint military command for sinking Israeli warships, and Hamas has brought all 13 Palestinian rejectionist organizations under one roof for a sustained bid to intensify terror operations against Israel. At a news conference in Gaza early Friday, Sept. 3 – shortly after the Washington talks were rated positive – a Hamas military arm spokesman announced the creation of a single command encompassing all 13 Palestinian rejectionist groups operating out of the Gaza Strip and Damascus for a concerted campaign of terror against Israel. In answer to a question, Abu Obeida said the new policy of expanded attacks may well rain missiles on Tel Aviv. “From now on, everything is open,” the Hamas spokesman said. At that moment, Israeli Prime Minister Binyamin Netanyahu was on a flight home from Washington, surrounded by an intense PR effort to present him as emerging from his first conversation with Palestinian Authority Chairman Mahmoud Abbas as a super-peacemaker. inauguration of the talks had yielded very little after their goals were sharply pared down. No accord but only a document of general principles is now expected to come out of the continuation of the dialogue – once every two weeks in the coming year. This, too, would oblige Israel to withdraw from large sections of the West Bank. Further steps were relegated to the distant future. In the meantime, Syria, Hizballah and the Palestinian terrorist community are using the very act of diplomacy as the impetus for a violent response. Whereas the prime minister’s rhetoric in Washington laid heavy emphasis on the negotiations measuring up to Israel’s security needs, in practice, he refrained from ordering an Israeli reprisal against the Hamas command centers which ordered two attacks on West Bank roads, although four Israeli civilians paid with their lives and two more were injured. Syria, Hizballah and the Palestinian terrorist commands operating out of Damascus, Gaza, Beirut and Sidon to took this restraint as a starting signal for reviving concerted attacks on Israel. Syrian President Bashar Assad and Hizballah leader Hassan Nasrallah decided to expand the secret military cooperation pact they recently concluded – to which no Israeli political or military leader has so far responded – to the Mediterranean Sea, where their operational and intelligence assets will together seek out and try and sink Israeli missile ships and submarines. To this end, they have earmarked marine units and their Iranian- and Russian-made shore-to-ship missile force – the largest of its kind in the world – as well as Syrian assault helicopters flown by crews trained to strike seaborne targets. The Hizballah marine unit was trained and equipped by Iranian Revolutionary Guards marine instructors. The Mediterranean coastal strip from Syrian Latakia in the north, running through the Lebanese ports of Tripoli, Sidon and Tyre and down south to the Gaza Strip, have been declared a joint sea front dedicated to attacking Israeli targets. High-ranking Israeli military sources told DEBKA file Thursday night that while it was hard to imagine Syrian or Hizballah managing to hit Israeli submarines, they are quite capable of fomenting violence on the sea and attacking Israeli naval craft and bases. Their joint command means they are sharing intelligence on Israeli naval activity and monitoring the movements of vessels while still in Israeli territorial waters and before they take up stations opposite the Lebanese or Syrian coasts. Our military sources add that, from the strategic viewpoint, the Washington dialogue and the disproportionate hype surrounding it were counter-productive in that it led to the resumption of Hamas terrorist activities on the West Bank and strengthened the military partnership between Syria and Hizballah for aggression against Israel. Netanyahu’s single-minded focus on diplomacy at the expense of neglecting rising threats and blocking military activity allowed these perils to develop and abound. His restraint did not help Mahmoud Abbas’ failing fortunes at home. His standing took a bad knock from the way Hamas managed to pull off two terrorist operations on the West Bank. In a desperate bid to show they were in control, Palestinian security sources reported Thursday night that two suspects were in custody for Monday’s drive-by shooting near Hebron and they had leads to the perpetrators. Debkafile’s counter-terror sources disclose that the two “suspects” are the used car salesmen who sold the vehicle the Hamas gunmen used in their attack. They had no clues to offer about the identities or whereabouts of the purchasers who have disappeared without a trace. Netanyahu is scheduled to continue his talks with Abbas in Sharm el-Sheikh on Sept. 14-15 – and again at fortnightly intervals during the coming year under Washington’s watchful eye. It is hard to see how they can keep going in a climate of rising military tensions and expanding terrorist outbreaks.